"c"  is pronounced as sh in shell. and naça meaning mat and closed. "d"  is pronounced as d in Dubai. "dh" is pronounced as d in day. "t"  is pronounced as t in tooth. "th" is pronounced as t in ten. it gives nasal sound to the preceding consonant. "ts" is equal to sida. "y"  is used as consonant only, not used as a semi vowel. So My must be written as Mai. Rohingya has two sets of vowels. The first line represent (6) soft-sound (normal) vowels and, the second line (6) hard-sound (accented) vowels. The last two-lettered vowels in each line below – ou and óu – are treated as if it is a single vowel respectively. Accented vowels are always emphasized with high tone and unaccented vowels are always pronounced as soft vowels. "Alemi modúr houli" - meaning International Honey Center. a  is pronounced as in the word America. e  is pronounced as in the word Letter. i  is pronounced as in the word India. o  is pronounced as in the word Long. u  is pronounced as in the word Put. ou is pronounced as in the word Go. Dhail (=lentil), Beil (=sun), Boi (=sit), Tui (=you) for not emphasized. 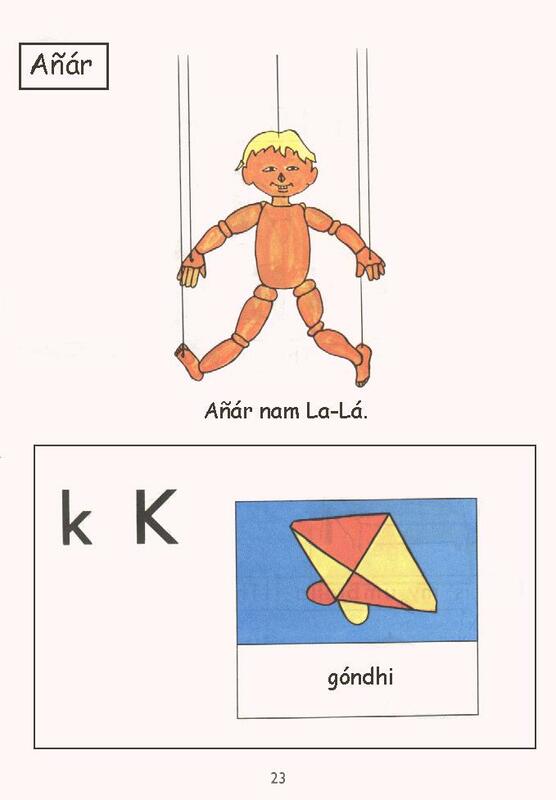 Bái (=brother), Dhéil (=tree branch), Bóin (=sister), Kúilla (=open) for emphasized. aa  horizontal elongation; example Gaa (=body). aá  raising up; example Gaá (=sing). áa  falling down; example Gáa (=infections). Sálma’ttu bilai uggwá asé né? — Is there a cat with Salma? Sálma’ttu bilai uggwá asé. — There is a cat with Salma. Ói, Sálma’ttu bilai uggwá asé. — Yes, There is a cat with Salma. Usman ottú bilai asé né? — Is there cat with Usman? Usman ottú bilai nái. — There is no cat with Usman. Nái, Usman ottú bilai nái. — No, There is no cat with Usman. Tui hoçé zaibi? – Where will you go? Ite/Ibá hoçé zaibou? – Where will he/she go? Tui hoçé zaifaribí? – Where can you go? Ibá hoñótte zaibou? – When will she go? Ali hoñótte aibou? – When will Ali come? Tui añár loi hoñótte dehá goríbi? – When will you see me? Hone hoórde? – Who is saying? Tuñí honnwá? – Who are you? Tuñí haré soórde? – Whom are you looking for? Yián ki? – What is it? Tuñí ki gorór? – What are you doing? (Thaim) hotúkkun laiggé? – How long it took (time)? Tui hotúkkun ot zaibi? – When will you go? Ham hoddúr óiye? – How far is work done? Lamba hoddúr? – How much is the length? Tuñí hoddúr zaiba? – How far will you go? Yián hodún? – How much is it? Tuñí hodún soódde? – How much you want? Tuñí hodún loiba? – How much you want to buy? Tuáñrtú hondila hoor fosón de? – What kind of clothes do you like? Tuáñrtú hondila ham fosón de? – What kind of work do you like? Tuáñrtú hondila lageddé? – What kind do you need? Tuñí honnán basíba? – Which one you choose? Tuñí honnán loba? – Which one will you take? Honíkká asé né? – Is there any one? Ite honíkká no zaibóu? – He will not go any where? Ali kengóri aibóu? – How will Ali come? Ite eskul ekkán kengóri banaibóu? – How will he build a school? How are you? – Keén aso? Finak = extra flesh in the nose.